that it was time to get on the Hybrid Impact Fitness Plan. Waist, and No Knee or Shoulder Pains and feeling great. Live Right, you will see life changing results. I hear people say all the time “I don’t have time” Anyone can find 30 min 3 times a week. The workouts are awesome, never the same, and always challenging, and not demoralizing like some “CrossFit Style Group Training Classes”. quality never is. Sure you can join a fitness club for $20 a month or buy Insanity , T-25, etc. but give Hybrid Impact a 90 Day Commitment and your will see the results for yourself. My experience at Hybrid Impact Fitness has truly been life changing. 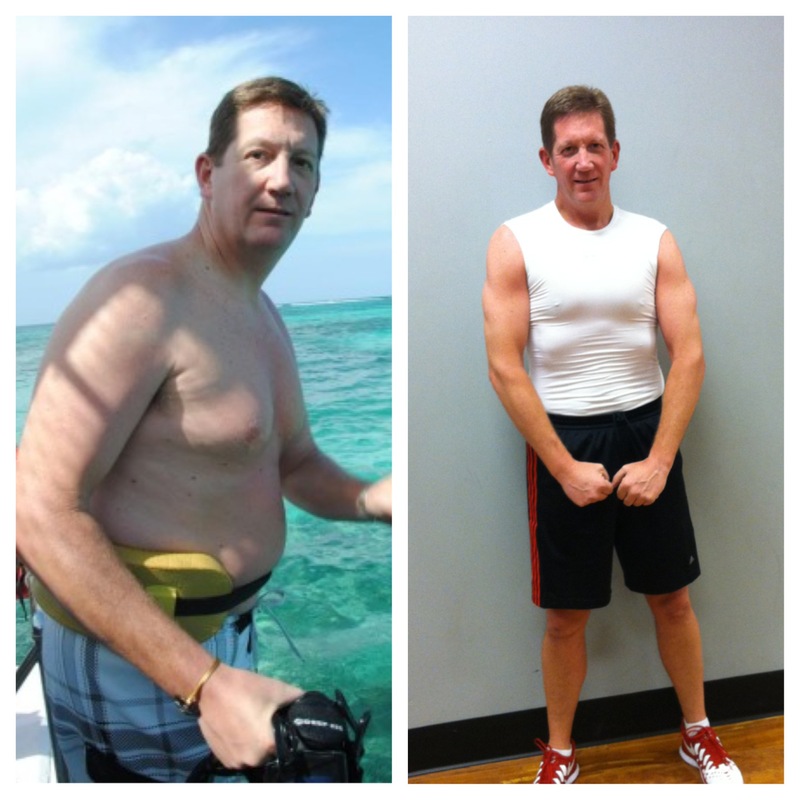 The Greg’s are passionate about helping each client achieve their fitness goals, and beyond. The approach is complete fitness – intense workouts tailored to each individual, an emphasis on good nutrition, and positive reinforcement along the way. There are no shortcuts, no gimmicks, or empty promises. For me, I hit the wall – the wall where your metabolism slows down, your testosterone drops, your ads go from washboard to washtub and you finally realize you are not invincible. Once you acknowledge you hit that wall, you have to make a decision. Every morning you wake up, you decide with your life choices what you are going to do in the wake of hitting that wall. I chose to hit back, and Hybrid Impact Fitness can give you the tools to take back control. My gut is no longer a shelf and I have more energy and endurance in whatever I go to do. They build more than muscle, they help build confidence. I continue to be a work in progress, with an emphasis on work. Major change is never easy nor is it comfortable, but it is worth the investment. The investment is in yourself, your family and those close to you. You have to do the work, make the right choices, eat the right foods. Hybrid Impact Fitness gives you the tools and the training to take control of your life and maintain it. 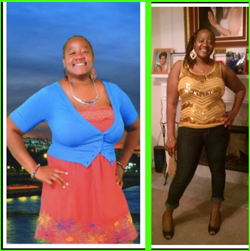 I began working out at Hybrid Impact Fitness at the end of June 2012 with the goal of losing weight (20-30 pounds) but also to tone my body and to get stronger and healthier. I began with one individual training session with Greg P and one joint session with my daughter, also with Greg P. I recall in the beginning, that I could barely do the warm up jumping jacks for the whole time I needed to – let alone make it through a 30-minute session without passing out. I think for some exercises, I couldn’t even last 15 seconds. 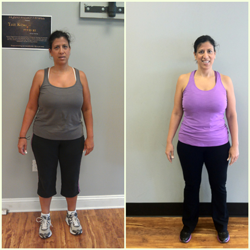 A year into my working out at Hybrid with Greg, still doing one individual session and one joint session a week – plus adding in a minimum of 4 group classes – I’ve dropped about 20 pounds, over 18inches and gained the endurance to make it through an hour work out plus 30 additional minutes of cardio. I’m no longer too hung up on the weight loss but I’m encouraged to keep pushing ahead. My personal trainer, Greg P. has continued to push me and encourage me to keep progressing forward. He’s spent a lot of time motivating me and often times, helping me to get on track with my eating habits. He’s always pushing me to not focus on just one thing – but all the factors that affect my ultimate goal of losing weight, getting stronger, and healthier. The group classes at Hybrid are excellent. Not only are they challenging in the exercises themselves, but working out with other members is motivating to push harder and compete or just keep up with the younger members. Taking the group classes has been even more encouraging because I’ve made friendships that I wouldn’t have had if I didn’t participate and those new friends help keep me motivated and accountable to my ultimate goal. No doubt Hybrid Impact Fitness and the two Greg’s have made a positive impact to my personal goals and accomplishments. Now, I’m addicted! Hybrid Impact Fitness literally turned back the hands of time for me at the age of 33. 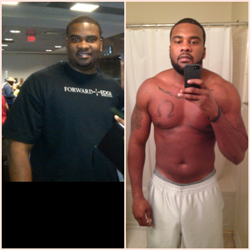 As a former NCAA Football player, they helped me not only lose 30lbs in 4 months but feel and look 21 again. Their unique training methods pushed my body to peak performance in challenging yet fun ways. Thanks for the IMPACT left by Hybrid!! Hybrid Impact Fitness has helped Myles game tremendously. I have seen the difference in his game on the court. He went from coming off the bench to starting lineup. The difference in his strength and stamina is very noticeable. Every time he comes to workout it is something new which helps motivate him cause he never knows what expect. Can’t wait to see what they can do for him in football season. These guys are the truth!!!! I have a son that is 9 years old. He is competitive, smart, and blessed with great passion for athletics – especially basketball and football. He is generally in the top % of talented players on any team that he is a member of. Although he had met with good success competing in and winning championships since he begin competing at 4 years of age, we desired for him to maximize his potential by focusing his development on the physical preparation for playing sports at a higher level. We had considered multiple locations for additional training. 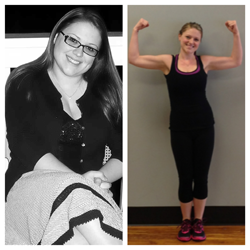 It was not until we found Hybrid Impact Fitness that our goal and opportunity came together. At Hybrid Impact Fitness, my son is challenged to push his physical and mental strengths to greater heights. Greg and Greg do a great job of education on correct form, footwork, and coaching for development and understanding. I have been pleased with the Strength and Agility sessions and even more pleased with the execution of the skills learned in actual completion. I would suggest to any person looking to maximize their potential, Hybrid Impact Fitness will enable YOU to be the best YOU that you can me. What a G.I.F.T. it has been to have my trainer, Greg Pontdujour, Hybrid Impact Fitness. Most people wonder why, given my height and weight, I need to work out. I’ve always needed and wanted to gain weight for long term wellness. So I Got started. 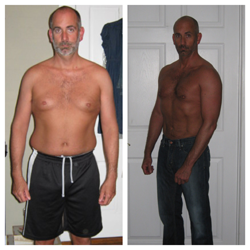 Greg’s Intention was to understand my needs and challenge me with the right fitness training. And boy, was it a challenge. The key for my success was staying Focused and committed. As a result, I’ve gained weight, am healthier, donated clothing and am so Thankful for the impact Hybrid Impact Fitness provides not just to me but to so many people. Keep up the GREAT work! I started with Greg and Greg in 9/2012 weighing 197 pounds. My goal was to get to 145 by the time my 12month program was up. I trained with the Greg’s twice a week the hardest 30 minutes of my life. During every session they never let you give up on yourself no matter how bad you want too they’re going to motivate you every step of the way. No session will ever be the same they make every effort to never let your muscles get use to one thing. They encourage eating right and exercising on your own outside of your sessions but of course I wasn’t giving 100% outside of the Greg’s so my weight loss took some time to come off but once I got focused it fell right off. I’m now down to 172 pounds that’s 25pounds and counting. The Greg’s are GREAT just LISTEN to them and the pounds will disappear and you will feel amazing!! !